How To Delete Jobtopgun Account :- Jobtopgun is an online job search engine that provide list of job opening in Thailand. The website let its users to create and edit account information, upload resume, browse through list of online jobs and let them apply for the job position. We have recently received a lot of requests from users on how to delete Jobtopgun account. After receiving their request we start our work and gather information on website, customer service and contact our other sources to find out the best possible way to delete account from Jobtopgun website but before we proceed on giving them information to delete account we have to know the reason behind their account removal. Many users have reported they are just deleting account because of company regular newsletter or notification which is making their mailbox look spam if you are deleting account just for this reason then i am recommend that you can either mark the mail as spam by clicking on spam button given at top of your mail button or unsubscribe the mail by clicking unsubscribe link given at the bottom of the mail. If your reasons are other then i will guide you step by step method on how to delete your account from Jobtopgun database. 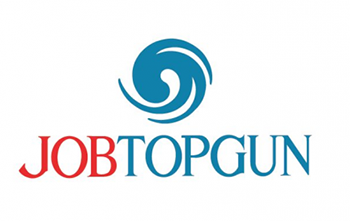 Jobtopgun website was launched in 1999 and currently it is one of the best online job portal that is currently providing services in thailand country. As per source currently there are more than 600,000 users accessing the website on monthly basis. Go to the following url “https://jobtopgun.com”. Now scroll down to bottom of the page and then on section CONTACT US click on link LIVE CHAT. Once you click on Live Chat link a pop-up menu will be opened fill your name and email address. On Message box type your message that you want to delete your account and then click on button LEAVE A MESSAGE. Soon a customer service agent will be connected in the chat window then tell him your honest reason to delete your account. For more information on How to Delete Jobtopgun Account stay updated to this website.